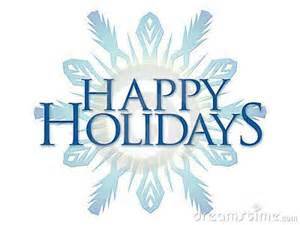 Which is Correct – Merry Christmas or Happy Holidays? It’s that time of year again! We see it on Facebook – hear it on the news – the controversy about how people greet one another during this time of year. Considering all the problems in our world right now – the Ebola crisis in West Africa, the threat to the West from ISIS and all the terrorists, the unrest in our own country from the problems in Ferguson, MO and the many who are unemployed and/or homeless, it seems to me we have much more important things to talk about. For those of us who are Christians, Christmas is a big deal to us as we celebrate the birth of Jesus Christ. So – if we want to greet others by saying “Merry Christmas” does it really harm those who do not share our faith? Is the faith of Muslims, Jews and others so fragile that they will be somehow harmed by hearing those words? Is the non-belief of the atheists so weak that being greeted by “Merry Christmas” will shatter their lack of faith in God? When we say “Merry Christmas” we are not trying to impose our faith on anyone. We are simply hoping that they may also experience some of the joy and happiness we feel at this time of year – remembering the birth of Christ – but also enjoying the time with family and friends gathered around the table laden with good food – sharing gifts with one another – catching up on each other’s lives. On the other hand, for those who may not be Christians or who simply wish to say “Happy Holidays” I ask the same question of my fellow-Christians. Is our faith so weak that hearing someone say “Happy Holidays” will destroy our belief in Christ? And do we really think we are “witnessing” to non-believers when we say “Merry Christmas!” To us, those words may bring up thoughts of the manger with baby Jesus and of the wonderful gift God gave to us in coming in human form. However, I doubt that those words mean anything of a religious nature to the non-believer. 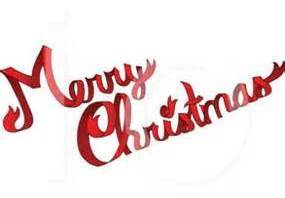 To say “Merry Christmas” to them probably brings up thoughts of Santa Claus, shopping, exchanging gifts and parties. So – let’s greet one another as we feel comfortable. Let’s not judge one another by the greetings we give or receive. 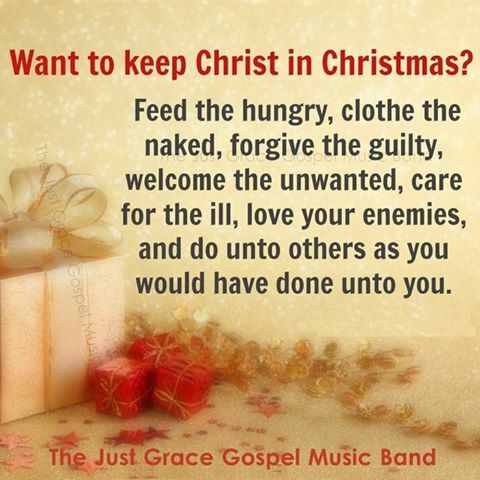 And for my fellow Christians who really want to “Keep Christ in Christmas” let me offer some suggestions on how best to do that – and it’s not saying “Merry Christmas” to everyone. This entry was posted in Family Life, Missions, Pastor and Family and tagged Christmas, Happy Holidays, Holidays, Merry Christmas by Barbara Lane. Bookmark the permalink.